Fire season is really in full swing now, with a lightning storm today sparking off several more blazes around the area. 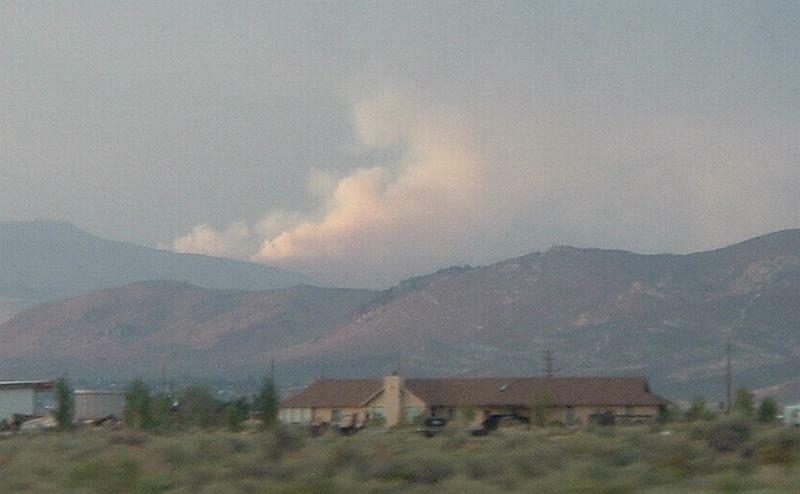 The big one near Carson City is burning in the mountains northeast of town, between Carson and Virginia City. The Delaware Fire is burning on McClelland Peak, the Virginia City side, and it’s travelling uphill which means it might eventually reach the cell phone and broadcast towers at the summit. Goni Road in Carson has been closed off to allow firefighters to get in from this side, and there are plenty of people on the ground trying to make sure it doesn’t get out of hand. Six Mile 2 Fire Linehan Fire Water Wheel Restaurant Being Destroyed The Industrial Fire Waterfall Fire Anniversary Fire! !